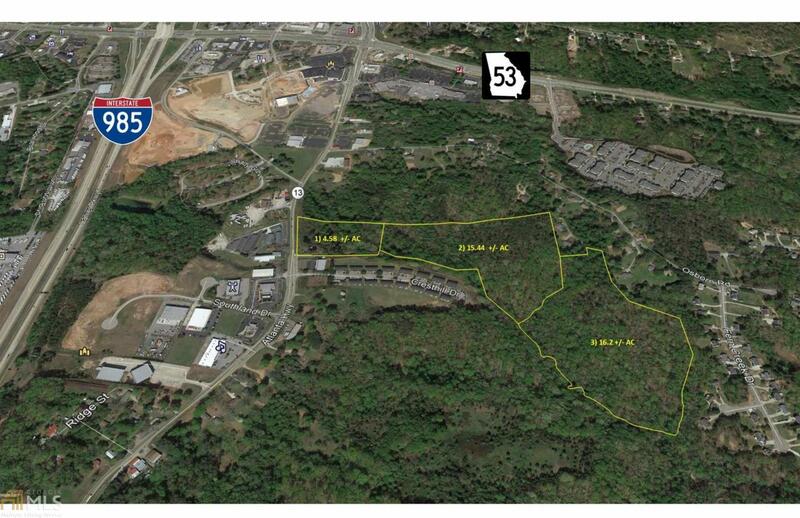 This sale consists of 3 parcels totaling 36.22 +/- AC just outside of Gainesville, GA. Zoned HB and mostly wooded. About 400 feet of frontage on Atlanta Highway. Topography is rolling to sloping in some areas. Sewer line is just 800 feet away and public water is available. The property is in a great area for a multifamily housing project with commercial development in the front The adjacent property has been successful in doing just that. Other potential uses include townhome development or self storage facility. Lots of potential. Easy access to I-985 via Mundy Mill Rd. Also, there is a new interchange under construction now to open in Fall of 2019 that will give the property multiple easy points of access from the interstate. Make an offer!